Thank you for considering the Smittcamp Alumni House as your event facility. To maintain our quality in performance for the community, we request that certain policies and procedures be met. These policies and procedures are explained in our enclosed application packet. • Departments and Offices are allowed use of the Smittcamp Alumni House with no rental fee. Set-up/clean-up and staffing charges still apply. • Departments and Offices may not reserve on behalf of Off-Campus organizations. Please request information about our Community Sponsorship opportunities. • Groups are responsible for any damage and clean-up to the facility. 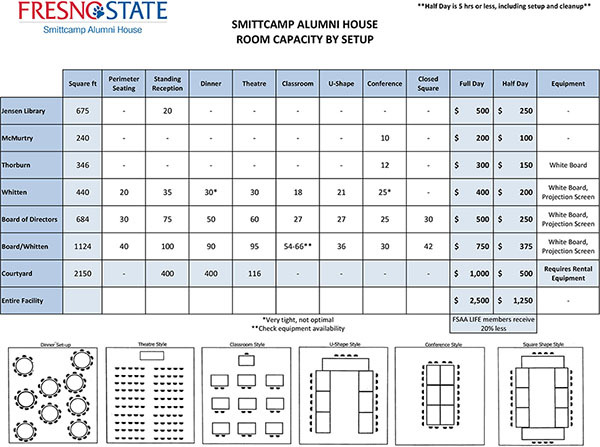 • All reservations are made through the Smittcamp Alumni House Reservation Office. • To be valid, confirmations must be signed by the faculty/staff requester and should be received 4 weeks in advance. • Reservations are accepted no more than one year in advance. 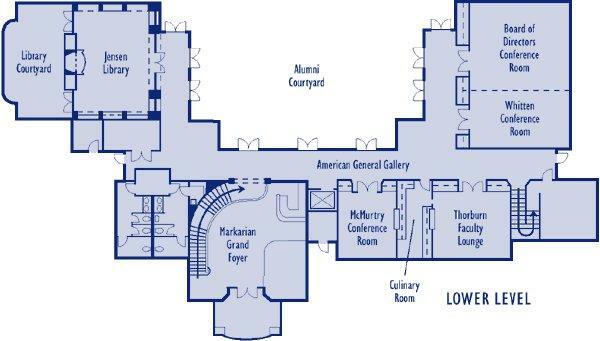 • Unconfirmed reservations are subject to automatic cancellation. • All catering and food service must be arranged through University Dining Services. • Courtyard events require equipment rental from University Warehouse or an off-campus vendor. Departments and Offices are responsible to make these arrangements and to coordinate set-up/break-down. • Final headcount and room set-up (or rental delivery) is required 2 weeks in advance. • Once the work order is submitted to Plant Operations alterations will be charged at $25 each. • No Shows and cancellations within 3 working days of an event will be charged the FULL off-campus rental rate. cancellation and/or suspension of facility privileges. * The name of the person from your department who will be supervising the event. Something Special. Let's discuss it. Alcoholic beverages may be served by pre-approved permit basis ONLY. Additional staffing and costs may apply. A copy of the request and documentation of approval must be on file with the Alumni House 5 days prior to the event. NO KEGS. NO HARD ALCOHOL. Your event might also need the following services. Please contact the appropriate campus department.